The Secret Service is once again under investigation, this time over allegations that two agents drove a government car into White House security barricades after drinking at a late-night party last week, the Washington Post reported. Officers who witnessed the incident wanted to arrest the agents and conduct sobriety tests, but a supervisor let the agents go home. Leary didn’t specify what the focus of the inquiry was, but told the news outlet that the incident was reported to the White House and Secret Service Director Joseph P. Clancy, and is being investigated by the Department of Homeland Security’s inspector general. 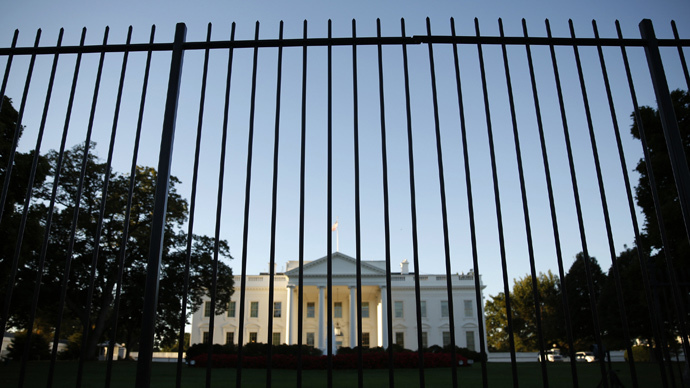 Witnesses said the car drove through security tape before hitting the White House security barricades. The security tape had been set up temporarily during an investigation of a suspicious package. Witnesses also said they noticed the car’s overhead flashing lights had been activated and both agents were showing their badges to get through a section of the ground that had been closed off due to the investigation. Secret Service rules do not allow agents to use flashlights without a security reason or drive a government vehicle after drinking alcohol, the Post reported. The two agents were previously at a party in a bar. The agents under investigation are Mark Connolly, the second-in-command on Obama’s detail, and George Ogilvie, a senior supervisor in the Washington field office. Connolly and Ogilvie declined to comment through the Secret Service's spokesman. The agency has been the focus of a series of lapses that have raised questions about security at the White House. Last month, an off-duty defense employee flew a drone that crashed on the White House lawn. Four months prior, a man with a knife climbed over the White House fence and made it deep inside the building before officers tackled him. In 2011, a gunman three-quarters-of-a-mile away from the White House fired shots that hit the building while one of President Obama’s daughters was home. The Secret Service’s previous director, Julia Pierson, resigned in October after a number of security lapses. A critical report released in December found the agency is stretched beyond its limits, is too insular, and is “starved for leadership.” Five agency managers were removed from their positions in January as a result.